A 30-foot ponga-type boat with three male Mexican nationals was discovered on Catalina Island by Sheriff's Department personnel. The boat had run aground on a remote beach, on the southwest portion of Catalina Island. The boat is a flat-bottomed, ocean going motorboat, powered by two 250-horsepower motors. Over 400 gallons of fuel was on the boat in gas containers. A large quantity of marijuana in multiple bundles was discovered nearby. Los Angeles County sheriff's deputies detained the men with the assistance of United States coast guard personnel. Removing the marijuana from the remote area proved to be a challenge. Due to the late hour and weather conditions, sheriff's deputies secured the narcotics and boat while an armed United States coast guard vessel remained just off shore, providing additional security. On Monday morning, April 19, 2010, sheriff's deputies removed the marijuana from Catalina Island with the assistance of the sheriff's narcotics bureau, air-5 helicopter; special enforcement bureau/emergency services detail ocean rescue ii boat, as well as United States coast guard personnel. Three Mexican nationals were arrested for transportation of narcotics and were booked at a federal facility. 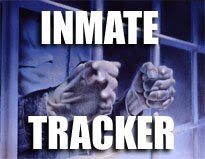 The quantity of marijuana was estimated to be 4,000 pounds, valued at approximately $3 million. "These arrests and recovery were the direct result of a diligent and observant sheriff's department employee," said sheriff's headquarters bureau captain mike parker. "he called for backup from other sheriff's department and united states coast guard personnel, and we had a very successful outcome." captain parker added, "it took dozens of sheriff's deputies several hours to load the large rescue helicopter. 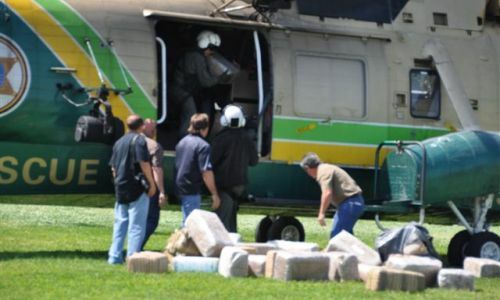 Due to the size of the seizure, two helicopter flights were required to transport the marijuana to the mainland."